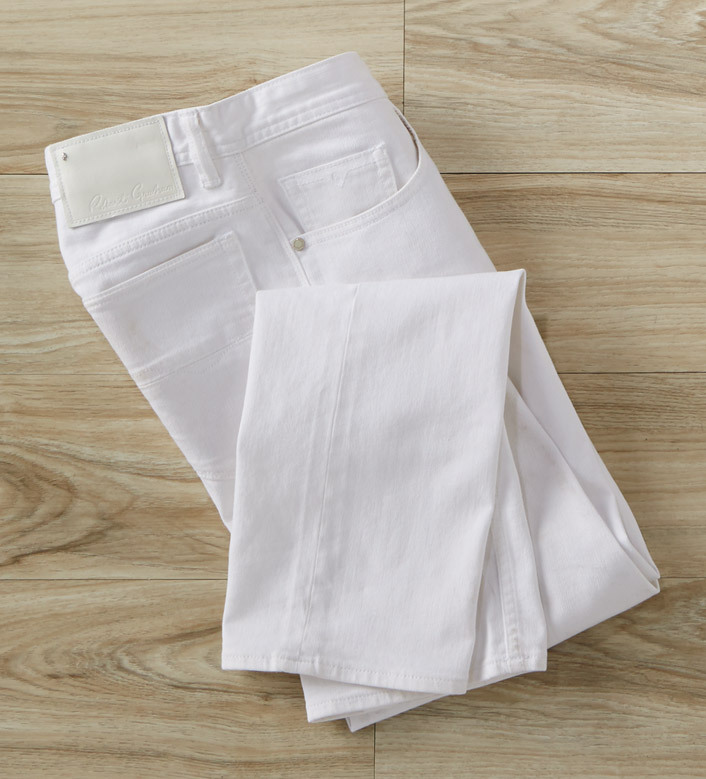 A classic must-have for spring, made in Italy of comfortable, stretch denim. Tailored fit, five-pocket styling, leather logo patch. 98% cotton/2% elastane. Machine wash. Graduated inseam.